Pat Boone Says "Mr. President, Stop Calling Crimes Involving Blacks Racist"! !...Really Pat?? 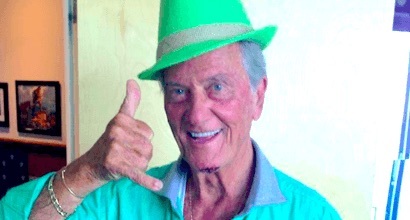 Pat Boone Says “Mr. President, Stop Calling Crimes Involving Blacks “Racist”! !..Really Pat?? Pat Boone is sick of racism – at least, he’s sick of people pointing it out. The conservative commentator and one-time teen idol complained that President Barack Obama pointed out the racial element in every highly publicized killing of an unarmed black person by a white police officer or vigilante, reported Right Wing Watch. “Mr. President! For God’s sake, and America’s sake, quit so often calling crimes that involve a black person ‘racist’!” said Boone, who was best known for his sanitized versions of rock songs by black artists in the 1950s, in a column posted online by World Net Daily. Boone said he was deeply disappointed that Obama, the nation’s first black president, continued to discuss racial issues. “As the president who came to office, a black man promising to bring people together, a man ideally suited for that job since you were born both black and white, you had a God-given chance to actually proclaim and demonstrate that racial divides and prejudice had greatly diminished and that our society was truly becoming colorblind,” the former pop singer complained. deeply into their inner beings (not their skin color or professed motives), and you’ll encounter demons from hell, minions of Satan himself, coming diabolically against anything that God loves,” he said. Boone urged the president to declare the United States a Christian nation — or else.